I do not agree with the notion that only the DC District Court has general jurisdiction over a Quo Warranto petition. The DC district court would have exclusive original jurisdiction over such a petition only if a party is not able to prove that a district court other than the DC court has original jurisdiction in the case any other way. If a party wants to avoid having to file its action under the DC code in the DC district, that party must show the forum court that it has original jurisdiction by way of some other constitutional or statutory provision. This means that the party cannot rely upon the quo warranto action alone to try to prove that the forum district court has original jurisdiction. If the party can prove that the court has original jurisdiction otherwise by showing that it has an underlying claim based on some other constitutional or statutory provision which gives that court original jurisdiction, the party is neither compelled to use the DC statute nor the DC district court but rather can file the party’s quo warranto petition in any district of the United States seeking relief in conjunction with that underlying statutory or constitutional provision which is the basis for the court to assert original jurisdiction in the first instance. In such later case, the quo warranto jurisdiction is ancillary to the court's original jurisdiction that rests on a separate and distinct constitutional or statutory provision in the first instance. Under such circumstances, the district court would obtain ancillary jurisdiction over the petition for quo warranto under 28 U.S.C. Sec. 1651(a) (the All Writs Act), for the court would already have original jurisdiction over plaintiff’s other claims. See United States of America Ex Rel. State of Wisconsin, Plaintiff-appellant, v. First Federal Savings and Loan Association and Federal Home Loan Bank Board, Defendants-appellees, 248 F.2d 804 (7th Cir. 1957). In the scenario described, the quo warranto jurisdiction is said to be ancillary to the court's original jurisdiction that rests on a separate and distinct statutory or constitutional provision in the first instance. Under such circumstances, the district court would obtain ancillary jurisdiction over the petition for quo warranto under 28 U.S.C. Sec. 1651(a) (the All Writs Act which authorizes the court to "issue all writs necessary or appropriate in aid of their respective jurisdictions and agreeable to the usages and principles of law"), for the court would already have original jurisdiction over plaintiff’s other claims. Under such circumstances, the All Writs Act may be used because the party is not using the act to augment the jurisdiction of the court but rather only petitioning the court that it issue the quo warranto writ as an aid to the court's already existing original jurisdiction. As far as showing that the Court has original jurisdiction otherwise than through the quo warranto action, one has to put forward a cause of action based on the Constitution or federal statute that gives the court that original jurisdiction. In the Kerchner complaint, I have included various original jurisdiction constitutional claims. These claims are based on the First (redress of grievances), Fifth (deprivation of liberty, safety, security, and tranquility without procedural and substantive due process of law and denial of equal protection), and Ninth Amendment (denial of rights retained by the people), all of which support the independent quo warranto action and which provide the original jurisdictional foundation on which the quo warranto rests. Quo warranto is an ancient common law writ. The Ninth Amendment, which preserves for the sovereign We the People their ancient common law remedies and writs, takes the place of the D.C. statute. This is to give notice that today, Tuesday, October 27, 2009, at 2:19 p.m., I filed a Notice of Appeal to the Third Circuit Court of Appeals in Philadelphia PA of Judge Jerome B. Simandle’s dismissal of the Kerchner et al. v. Obama & Congress et al. case. Recently, the Hon. Jerome B. Simandle decided the Kerchner case, granting the defendants’ motion to dismiss the case. As I explained, through the dismissal, Judge Simandle avoided having to reach the merits of the question of whether Obama is an Article II “natural born Citizen” and eligible for the Office of President and Commander in Chief. In the Kerchner complaint/petition, we allege that Obama has not conclusively proven that he was born in Hawaii. More importantly, we also allege that he is not an Article II "natural born Citizen" because when Obama was born his father was a British subject/citizen and Obama himself was the same, citing E. Vattel’s, The Law of Nations (1758) and John Jay’s letter of 1787 to then-General George Washington regarding providing a strong check on keeping foreign influence out of the Office of Commander in Chief by requiring that only a “natural born Citizen” occupy that critical and powerful office. As a naturalized citizen cannot be President because of being born subject to a foreign power, neither can Obama. It is important to understand that the Court did not rule in the Kerchner case that Obama has conclusively proven that he was born in Hawaii. It is also important to understand that the Court did not rule that Obama is an Article II “natural born Citizen.” Rather, the Court dismissed the plaintiffs’ case because of jurisdiction (Article III standing and prudential standing) and the political question doctrine without commenting on the underlying merits of whether Obama is constitutionally qualified to be President and Commander in Chief of the Military. The Court also did not rule that the plaintiffs’ claims are frivolous. By the Court finding that plaintiffs do not have standing and that their claims present a political question, the Court was able to avoid having to address the underlying merits of the Kerchner case. With such a decision, the American People unfortunately still do not know where Obama was born and whether he is an Article II “natural born Citizen” and therefore constitutionally eligible to be President and Commander in Chief. A court cannot refuse to hear a case on the merits merely because it prefers not to due to grave social or political ramifications. As I have shown in my essay entitled, The 'Real' Kerchner v. Obama & Congress Case Is On Its Way to the Higher Courts of Justice, the Court’s opinion dismissing the Kerchner complaint/petition did not address the real Kerchner case but rather looked for a way to dismiss the case without having to reach the merits of the question of whether Obama is an Article II “natural born Citizen.” It is my hope that the public will take the time to read the Kerchner complaint/petition and the legal briefs that were filed supporting and opposing the defendants’ motion to dismiss so that it can learn first hand what the Obama ineligibility case is really about and draw an intelligent and informed decision on whether Obama is constitutionally qualified to be President and Commander in Chief of the Military. The case is now with the Third Circuit Court of Appeal in Philadelphia, PA, which court we hope will decide the real Kerchner case and thereby reverse the decision of the Federal District Court. The American people deserve to know whether Obama was in fact born in Hawaii. More importantly, even if he is born in Hawaii, given that he was born with dual allegiance and citizenship, the American people deserve to know whether he is an Article II “natural born Citizen” which would make him eligible to be President and Commander in Chief of the Military. It is our position that because Obama was born with conflicting allegiances and citizenships at birth (British and U.S., if he was born in Hawaii), he cannot be President and more so Commander in Chief of our military men and women. P.S. Here is a link to educational information on Understanding the Federal Courts Appeal Process. He is called the straw man. Set him up and knock him down. Recently, the Hon. Jerome B. Simandle decided Kerchner et al. v. Obama and Congress et al. case, granting the defendants’ motion to dismiss the case. But did Judge Simandle decide the real Kerchner case? Let us take a deeper look to find out what the Kerchner case is really all about and what the Court did to avoid having to reach the merits of the question of whether Obama is an Article II “natural born Citizen” and eligible for the Office of President and Commander in Chief. In the Kerchner complaint/petition, we allege that Obama has not conclusively proven that he was born in Hawaii. More importantly, we also allege that he is not an Article II "natural born Citizen" because when Obama was born his father was a British subject/citizen and Obama himself was the same, citing E. Vattel’s, The Law of Nations and Natural Law (1758) and John Jay’s letter of 1787 to then-General George Washington regarding providing a strong check on keeping foreign influence out of the Office of Commander in Chief by requiring that only a “natural born Citizen” occupy that critical and powerful office. As a naturalized citizen cannot be President because of being born subject to a foreign power, neither can Obama. It is important to understand that the Court did not rule in the Kerchner case that Obama has conclusively proven that he was born in Hawaii. It is also important to understand that the Court did not rule that Obama is an Article II “natural born Citizen.” Rather, the Court dismissed the plaintiffs’ case because of jurisdiction (Article III standing and prudential standing) and the political question doctrine without commenting on the underlying merits of whether Obama is constitutionally qualified to be President and Commander in Chief of the Military. The Court also did not rule that the plaintiffs’ claims are frivolous. By the Court finding that plaintiffs do not have standing and that their claims present a political question, the Court was able to avoid having to address the underlying merits of the Kerchner case. With such a decision, the American People unfortunately still do not know where Obama was born and whether he is an Article II “natural born Citizen” and therefore constitutionally eligible to be President and Commander in Chief. On the question of Obama’s place of birth, Obama and Congress did not argue that plaintiffs fail to state a valid claim upon which the Court can give them any relief because Obama was in fact born in Hawaii. They could have simply produced for the Court simple evidence showing that Obama was born in Hawaii. The most important piece of simple evidence would have been Obama’s original, long-form birth certificate from Hawaii. They could have mounted their offensive by using the two Hawaiian newspaper birth announcements, affidavits from any persons with personal and relevant knowledge of Obama’s birth events, and medical records from Kapi’olani Medical Center, where Obama says he was born. They then could have argued that in light of such insurmountable evidence, plaintiffs’ birth-place claim lacks any merit. With such evidence in the record, they then could have asked the Court to dismissed plaintiffs’ birth-place claim with prejudice. If the Court would have granted their motion, that would have probably been the end of the birth-place issue not only in this Court but in all Courts throughout the country. But why did Obama and Congress not do such a simple thing like produce for the Court his original, long-form birth certificate and other readily available evidence and ask the Court that it dismiss the birth-place claim with prejudice once and for all? Any reasonable person must ask himself or herself what is Obama and his enablers in codependency with him ( http://www.asktheinternettherapist.com/counselingarchive-enabler-and-codependency.asp) hiding about his birth from the American people? On the plaintiffs’ argument that Obama is not and cannot be an Article II “natural born Citizen” even if he was born in Hawaii, in our brief we cited for the Court the following cases and authorities in support of our definition of what a “natural born Citizen” is: E. de Vattel, The Law of Nations, bk 1, c. 19, sec. 212 (1758) (1759 first English translation); The Venus, 12 U.S. (8 Cranch) 253, 289 (1814) (Marshall, C.J., concurring) (cites Vattel’s definition of natural born citizens); Shanks v. Dupont, 28 U.S. 242, 245 (1830) (same definition without citing Vattel); Minor v. Happersett, 88 U.S. 162, 167-68 (1875) (same definition without citing Vattel); Ex parte Reynolds, 1879, 5 Dill., 394, 402 (same definition and cites Vattel); United States v. Ward, 42 F.320 (C.C.S.D.Cal. 1890) (same definition and cites Vattel); U.S. v. Wong Kim Ark, 169 U.S. 649 (1898) (only declared under the Fourteenth Amendment a child born on U.S. soil to foreign parents and subject to the jurisdiction of the United States a “citizen of the United States” and not an Article II “natural born Citizen” and Fuller, C.J, dissenting confirming Vattel’s definition of a “natural born Citizen” ); Keith v. U.S., 8 Okla. 446; 58 P. 507 (Okla. 1899) (common law rule that the offspring of free persons followed the condition of the father was applied to determine the citizenship status of a child); Rep. John Bingham (in the House on March 9, 1866, in commenting on the Civil Rights Act of 1866 which was the precursor to the Fourteenth Amendment: "[I] find no fault with the introductory clause, which is simply declaratory of what is written in the Constitution, that every human being born within the jurisdiction of the United States of parents not owing allegiance to any foreign sovereignty is, in the language of your Constitution itself, a natural born citizen. . . . ” Cong. Globe, 39th, 1st Session, 1291 (1866)); Sen Jacob Howard (the framer who co-wrote the Fourteenth Amendment citizenship clause stating in 1866 that the citizenship clause of the Fourteenth Amendment excluded persons born in the United States who were foreigners, aliens, or who belonged to the families of ambassadors or foreign ministers. Congressional Globe, 39th Congress, 1st Session, May 30, 1866, p.2895, 2nd col.)) We requested that the Court enforce the United States Constitution, the supreme law of the land, and, given that Obama was not born in the country to a mother and father who were themselves United States citizens at his birth, not allow Obama to amend the Constitution by usurpation. U.S. Const. art. VI, cl. 2; George Washington, Farewell Address, 1796. Despite having raised and argued the “natural born Citizen” issue as such in our complaint/petition and brief (born in the country to citizen parents), the Court's decision fails to even acknowledge that this argument is part of plaintiffs’ case. On the defendants’ motion to dismiss, the court must accept as true all factual allegations made by plaintiffs in their complaint/petition and interpret that complaint in a light most favorable to them. While devoting almost 4 pages of its 11-page opinion to a recitation of background facts, there is not one word in the Court’s opinion about plaintiffs alleging that Obama has admitted that under the British Nationality Act of 1948 at Obama’s birth his father was a British subject/citizen and therefore not a United States citizen and that Obama himself was born a British subject/citizen. We even requested in our opposition brief to the defendants’ motion to dismiss that the Court take judicial notice of Obama’s admission. Such a failure by the Court to acknowledge these facts and this argument in its opinion prevents the public from having an official record of such immensely important facts and only gives fuel to those who vilify the “birthers” for filing what they call frivolous law suits that they say present nothing but conspiratorial theories that deserve at least a $20,000.00 court sanction upon dismissal. Recognition of these facts is critical to our national security, for just like a naturalized citizen cannot be President because he/she is born subject to a foreign power, Obama who was born subject to a foreign power also cannot be President and leader of our military men and woman. The question then is why did the Court not even make any mention in its opinion of these uncontested facts which clearly show that Obama was born subject to a foreign power and which are the basis of the most important part of the Kerchner action? Furthermore, the Court stated that the plaintiffs want to know that the President is “truly” a “natural born citizen.” By characterizing plaintiffs’ claim as such, the Court has not only subtly expressed an indefensible hostility to the merits of plaintiffs’ “natural born Citizen” argument but further denigrated plaintiffs’ argument on the constitutional need that Obama must be a “natural born Citizen” in order to be President. No where did the plaintiffs ever distinguish as the court accuses them of between a “natural born Citizen” and a “truly” “natural born Citizen.” To ascribe to plaintiffs the desire to want to know that Obama is a “truly” “natural born Citizen” is to mock their argument. The Constitution textually requires that a would-be president be a “natural born Citizen.” This is all plaintiffs ever argued. For the Court to state that the plaintiffs want a “truly” “natural born Citizen” is to mislead the public into believing that the plaintiffs have their own laughable, cooky subjective standard (of course not the constitutional one) of what a “natural born Citizen” is, and that they maintain that Obama is not good enough to meet that standard. By emphasizing the word “truly” not once by twice, the Court has tacitly ascribed at best a nutty and at worst a discriminatory purpose to plaintiffs’ cause of action. If it is the latter, given that Obama is the first African-American President (although putative), such statements could cause civil unrest. The misleading nature of the Court’s characterization of plaintiffs’ “natural born Citizen” argument is compounded by the fact that as seen above the Court did not even reveal in its decision what plaintiffs’ argument is regarding Article II’s “natural born Citizen” requirement (again, born in the country to citizen parents which is neither wacky nor discriminatory). Regarding standing, upon reading the Court’s decision one comes away with the belief that plaintiffs’ claim for standing rested upon lead plaintiff Charles Kerchner, Jr. being a retired U.S. Navy reservist subject to recall to active duty and as such that he would then need to know if his orders were emanating from a legitimate commander in chief. This conclusion is erroneous. In fact, the recall to active duty argument was the last of several arguments that we made in the complaint and brief to prove standing. On the contrary, in our complaint and brief to prove that my clients have standing we also alleged and argued that my clients have suffered an infringement of individual constitutional rights by Obama’s violating their substantive 5th Amendment unalienable rights to liberty, safety, security, and tranquility by occupying the Office of President when he is not constitutionally eligible for that all powerful office and by Congress violating their 5th Amendment rights to substantive and procedural due process and equal protection, and 1st Amendment rights to redress of grievances, by allowing Obama to occupy the Office of President when he is constitutionally ineligible to hold that position. We submitted to the Court that these specific facts which give rise to violations of the cited constitutional provisions set our plaintiffs apart from other Americans. But despite our presenting such arguments to support standing based on the 1st, 5th , and 9th Amendments and the Court stating that it was compelled by law on defendants’ motion to dismiss to accept as true plaintiffs’ factual allegations contained in the complaint, the Court ignored and did not address our arguments. Other than saying by way of footnote that Congress is not constitutionally obligated to respond to plaintiffs’ petition to determine that their President and Commander in Chief of the Military is constitutionally eligible for that office (which the Plaintiffs' filed for the sake of their liberty, safety, security, and tranquility), no where in the Court’s opinion will one find any discussion of these crucial points which plaintiffs made to show that they have standing. For some unknown reason, Judge Simandle decided to pick the military recall argument as his focus and did not address the main and much stronger standing arguments we made. We have already seen other Courts ridicule the attempt to gain standing through the military recall argument. Needless to say, this decision invites those who may have the pleasure to do so to also ridicule the Kerchner case for making such an argument. In fact, it has already happened that those who have been waiting to denigrate the Kerchner case have focused on this part of Judge Simandle’s decision on standing to show that the case deserved to be dismissed without hesitation because it was just another “birther” law suit presenting nothing but speculation about the possible consequences of some future military duties. One can only wonder why the Court focused only on the weakest of plaintiffs’ standing arguments to support its dismissal for lack of standing. Hence, the Court's decision does not acknowledge for some unknown reason the critical issue about Obama's constitutional eligibility (born in the country to parents who are citizens) nor does is address the main and most powerful arguments made in the brief regarding my clients’ standing to bring their action. Let us now examine what else the Court said about standing. The Court did not say that plaintiffs’ injuries are not concrete. The President and Commander in Chief wields enormous power over the plaintiffs’ lives. As the Chief Executive and Commander of all the military force, he has the constitutional obligation to protect them from enemies both foreign and domestic. Hence, given that the President regularly makes life and death decisions, it cannot be denied that plaintiffs are personally and directly affected in a concrete way by everything the President does and does not do. Concerning Obama, we are not attacking the wisdom or soundness of government action or asking the Court to assume any authority over some other co-equal branch of government. Plaintiffs’ action against him is not an action against the government. We are not suing him because plaintiffs do not like him, because of a generalized feeling of discomfort about his occupying the Office of President, or because plaintiffs have suffered psychological harm. Rather, we are questioning whether he meets the textual “natural born Citizen” eligibility requirements of Article II, a requirement that he must meet prior to executive power legitimately vesting in him. He must meet this objective constitutional requirement regardless of what the plaintiffs may personally believe or how the plaintiffs may feel about him. As it applies to Congress, we are alleging that it failed to protect plaintiffs by making sure that Obama meets that textual eligibility requirement which not only provides them with individual protection but also serves a national security purpose. We can see that the Court did not say that the plaintiffs did not sufficiently allege that they have suffered an injury. The Court did not say that plaintiffs only alleged that they have some general interest in how government should behave. The Court did not say that the plaintiffs have not been and do not continue to be sufficiently injured by the actions of Obama and Congress. The Court did, however, say that plaintiffs’ injuries are not particularized as to them. The Court stated: “[W]hile Plaintiffs feel themselves very seriously injured, that alleged grievance is one they share with all United States citizens. 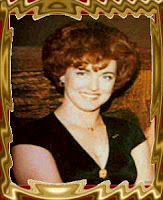 . . .” The Court went on to state: “In the present case, assuming as the Court must that Plaintiffs’ allegations are true for the purposes of deciding this jurisdiction motion, the injury, if any, suffered by Plaintiffs is one that would be shared by all the American people,” that “the alleged harms apply equally to all United States residents,” that the “harm is equally applicable to all American citizens….” The Court said that because the type of injury that plaintiffs allegedly suffered is also suffered by “all United States citizens,” “all the American people,” “all United States residents,” the plaintiffs do not have standing. In other words, the Court said that if one is injured and suffers alone, one has standing. But if one is injured and suffers along with “all” the rest of the American “citizens,” “people,” or “residents,” one does not have standing. The Court’s reasoning leaves one thinking how the Court knows that so many other Americans have also suffered an injury like the plaintiffs have. “All” these other American citizens were surely not before the Court to be examined about whether they even care about Obama’s eligibility for the Office of President let alone to determine if they suffered deprivation of their 1st, 5th, and 9th Amendment rights as the plaintiffs alleged they have. Have these other millions of Americans asserted to Congress their 1st Amendment right for a redress of grievances? Have they suffered a deprivation of their 5th Amendment rights to substantive and procedural due process and equal protection? What evidence do we have that they have suffered these injuries as plaintiffs have? On the contrary, there are millions of Americans who welcome Obama to continue to be sitting as President regardless of whether he is eligible for the office? We can not possibly contend that these other millions of Americans have been injured by Obama’s lack of eligibility and Congress’s allowance of Obama to occupy the Office of President when he is not constitutionally qualified to do so. More importantly, where is the soundness or logic of a judicial concept as expressed by the Court which provides that if you suffer an injury alone, the court can help you, but if you suffer that same injury with “all other American citizens,” “people,” or “residents,” the court cannot. Is it controlling on the question of standing and whether a specific party has a right to judicial relief that other persons have also been injured by the defendant’s conduct? If someone suffers an injury, does that injury lose its concrete character or become not particularized because others may also suffer the same injury? Does a cut on one’s arm caused by a defendant become not concrete and not particularized because the defendant has also caused the same cut on the arm of a million other people? If someone is a victim in a mass fraud or mass tort situation, does that person lose his right to bring a legal action because a million other people also share the same harm? Does not the law allow an individual injured by an unsafe product to sue the manufacturer in products liability and recognize that he/she has standing even though whether the product is safe affects in a substantial way millions of other consumers and users who may benefit from the results of the law suit? Contrary to the Court’s ruling, a party who adequately shows his own injury is entitled to establish standing “even though the court’s judgment may benefit others collaterally” or “even if it is an injury shared by a large class of other possible litigants.” Warth v. Seldin, 422 U.S. 490, 499, 501 (1975). As long as plaintiffs adequately show their own injury, it is also perfectly acceptable for them to “invoke the general public interest in support of their claim.” Id. at 501. A careful reading of the Kerchner complaint/petition shows that plaintiffs are asserting violations of their own constitutional rights and not just the rights of third persons. One can only wonder how a standing concept as expressed by the Kerchner Court can be consistently and honestly applied by the courts to the myriad of public interest law suits that are brought before it. I submit that such a notion is not a correct statement of the law of standing, for how can such a position be correct if the plaintiffs are themselves injured but due to no fault of their own they also happen to be among the injured? On the contrary, plaintiffs should have standing even if they are also among the injured. The United States Supreme Court in Warth makes this perfectly clear. Given the Court’s finding that plaintiffs have sufficiently alleged an injury, how can it be reasonably argued that my clients have not been and are not continuing to be directly affected by Obama’s ineligibility and Congress’s inaction? Our appeal will ask the appellate court to agree with us on these points. The Court said that it cannot exercise jurisdiction over plaintiffs’ claims because they present a “political question.” The Court used this finding to support both its conclusion that plaintiffs have failed to satisfy prudential standing concerns and to separately show that the plaintiffs’ case does not present the court with a political question. A claim that presents a “political question” is not justiciable in federal court because of separation of powers provided for in the Constitution. As we can see, what is the definition of an Article II “natural born citizen” as intended by the Framers and whether Congress carried out its textually prescribed constitutional obligations under the 20th Amendment to make sure that Obama met that definition and was therefore qualified to occupy the Office of President are not “political questions” but rather legal constitutional questions requiring the Court to interpret the text of the Constitution with the aid of the many existing historical sources and applying that interpretation to uncontested facts. It is this textually demonstrable constitutional provision itself which the Court can use to determine Obama’s duty, whether he breached that duty, and the appropriate remedy for that breach which can be declaratory, mandamus or injunctive relief. Article II, Section 1, clause 5 also requires that a person must be 35 years old to qualify to be President. Would we say that whether a presidential contender is 35 years old is a political question that a court of law could not decide? Of course not. It is abundantly clear that the judicial branch of government can decide the eligibility issue by utilizing the text of Article II itself along with the many other legal and historical sources to help it interpret that clause without interfering with any of the other branches of government. Additionally, the Constitution does not give to either Congress or the Executive the authority to interpret the “natural born Citizen” clause of the Constitution. It is true that Congress has the constitutional power under the 20th Amendment to determine if Obama met Article II’s eligibility requirements, but the scope of that constitutional commitment does not include Congress having the power to define those eligibility requirements. If Congress were to confirm someone for President who is not qualified under Article II, clearly Congress would impermissibly exceed the authority given to it under the 20th Amendment to confirm someone who satisfies the Presidential eligibility requirements. So if the Constitution does not give a power to Congress but rather gives it to the Court, there is no separation of powers problem when the Court exercises that power. Also, we cannot expect Congress and the Executive to police and sanction themselves for violating the Constitution and to come clean on the Obama constitutional eligibility question. Hence, if those branches of government cannot and should not be expected to rectify our constitutional crisis who but the judicial branch can? Moreover, the Court’s interpretation and application of the “natural born Citizen” clause would not involve the Court interfering with the Executive Branch. Obama was constitutionally compelled to prove that he was qualified for the Office of President when he was still a private person. Hence, to challenge him on his constitutional eligibility is to challenge him as a private person and not as the President in whom executive power has vested under Article II, Section 1, clause 1. Finally the Court has reduced plaintiffs’ injuries to nothing more than their “belie[fs],” “right to know,” “feel[ings],” “motivations,” “satisfaction[s],” “frustration,” and “perce[ptions]” about Obama’s eligibility to be President and the Congress’s actions. Furthermore, in suggesting to plaintiffs a remedy, the Court expects plaintiffs to assuage their frustration by going to the polls and voting. Apart from the fact that we are concerned with a constitutional objective standard applicable to the question of whether Obama is constitutionally eligible to be President, we cannot realistically expect that plaintiffs can find any redress for their grievances and claims by casting their few votes at the polls. We cannot honestly expect the plaintiffs to mount their constitutional attack by bringing their eligibility argument to the streets and convincing enough voters about it to be able to garner sufficient support to win the next election. Do we even know if Obama is running for President again? Is it realistic to expect that the plaintiffs could vindicate their constitutional rights all in the next election? Should the plaintiffs have to wait without any remedy other than the political process to run its course through the various future elections? As is self evident, not only is it not realistic to expect plaintiffs to heal their constitutional injuries through the election process, but to expect them to go to the polls to find constitutional solace and relief would be tantamount to abandoning our Constitutional Republic and abdicating the rule of law to democratic mob rule. The judiciary is the ultimate interpreter of the Constitution. Hence, we cannot reasonable deny that under our system of government it is only the judicial branch of government that can provide plaintiffs with any real and legitimate relief on these textually existing constitutional issues. As Chief Justice John Marshall explained in Marbury v. Madison, 5 U.S. (1 Cranch) 137 (1803), the Courts are well suited for undertaking such a constitutional task given its constitutional obligation to provide judicial review of the actions of the other branches of government when its jurisdiction is established. Indeed, the judicial branch of government must diligently and courageously do its part if the checks and balances that are so important to preventing tyranny and abuse of power are to work. 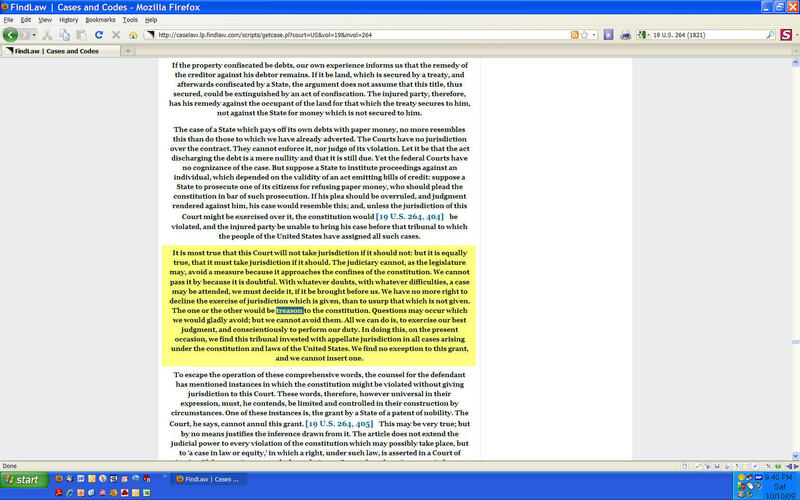 Hence, the Court is not prevented from deciding the Obama eligibility issue because of any political question problem. On the contrary, the court is constitutionally duty bound to take jurisdiction over the Kerchner case. It is important to bring these failings of the Court’s decision to the public’s attention because this vital information is not in the decision and is therefore buried from public view. When other cases comment and the media reports on the Kerchner case, they will most likely only look to see what the court said in the opinion and not also what the plaintiffs presented to the Court. By looking only to the Court’s decision itself, other courts and the media will fail to report to the public the most important arguments made in the case regarding Obama’s constitutional ineligibility and the plaintiffs’ standing to bring their action. Inaccuracy only becomes worse when there is a hidden bias in favor of Obama or an antipathy for those bringing the Obama eligibility law suits. A court cannot refuse to hear a case on the merits merely because it prefers not to due to grave social or political ramifications. As we have seen, the Court’s opinion dismissing the Kerchner complaint/petition did not address the real Kerchner case but rather looked for a way to dismiss the case without having to reach the merits of the question of whether Obama is an Article II “natural born Citizen.” It is my hope that the public will take the time to read the Kerchner Complaint/Petition (Complaint/Petition Table of Contents), the legal briefs that I filed supporting the complaint and opposing the Defendants’ Motion to Dismiss, and my Cross Motion Reply so that they can learn first hand what the Obama eligibility case is really about and draw an intelligent and informed decision on whether Obama is constitutionally qualified to be President and Commander in Chief of the Military. We are now working on filing our appeal to the Third Circuit Court of Appeal in Philadelphia which court we hope will decide our case dispassionately. 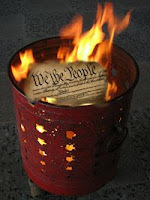 We will not let them ignore and burn our Constitution. They can not ignore the black letter law words of Article II as to Presidential and CINC eligiblity. And where in the federal Constitution does it say they can force the People to buy anything, let alone a National Socialist Government Health Care System. Pelosi cannot get away with saying when asked of her, where in the Constitution does it give you the authority to do what you are doing, and she says with that plastered smile on her face to the questioner, "Are you serious?" What has become of our leaders such as Pelosi and Obama when they think they are superior to the Constitution and rule of law. We the People need to educate these people, and the courts, as to who is really the Sovereign in our Constitutional Republic. In the case of constitutional issues We the People and/or the Constitution created by We the People are sovereign. The fundamental law of our nation, the Constitution, can only be changed by amending it by the process provided in that Constitution, not by a branch of the federal government usurping it or ignoring it. Congress cannot amend the Constitution by itself and certainly not with a simple majority vote. It takes a vote of 2/3 the members of Congress to put forward such an amendment to the several states and ratification by 3/4 of the several states of our nation. We are a Constitutional Republic, not a pure democracy. All rights and power not given to the federal government by the Constitution is reserved to the several states and to the People. See the 9th and 10th Amendments in the Bill of Rights for the details on that fact. We the People created the federal government enabled by the founding document, the federal U.S. Constitution. The Congress or the President cannot arbitrarily ignore the U.S. Constitution and those branches of the federal government cannot hide behind sovereign immunity and simplistic standing arguments. For if they can the Constitution is then no longer the supreme law of the land and the Congress and the President have placed themselves above that supreme law. We would no longer be a nation of laws if the supreme law of the land can be ignored and not enforced by the whims of the simple political majority in control of Congress and the federal courts protect the usurpers using recently created court rules such as standing, which is not in or part of the Constitution, to keep We the People from seeking redress from our government via the legal system from the ignoring and violating of the Constitution by other branches of the federal government. The federal courts are supposed to be the guardians of the Constitution not the guardians of the usurpers. The judges should re-read their oath of office and take it seriously. With regard to claims of sovereign immunity by the Congress, I believe that Article I, Section 6, clause 1 protects the individual Senators and Reps from arrest and/or charges due to their speech and debate. It does not grant sovereign immunity to the Congress as a whole or the Senate as a body or the House as a body to totally ignore the Constitution, the "fundamental law" as Vattel describes such laws, and the foundational law of our federal government and nation. The sovereign power in our Republic is “We the People” and the Constitution we established to limit the power of the Federal Government, and thus the Congress which is part of that. Thus the Congress as a body in our government is not sovereign and thus cannot have sovereign immunity regarding charges that it as a body did not do its constitutional duty and/or ignored parts of the constitution. Who or what is the USA. It is the several states and We the People and the Constitution. It is not the Congress and it is not the President. The Constitution is the supreme and sovereign law. Congress is not sovereign and neither is the President and thus they cannot use sovereign immunity to betray and undermine the constitution. If the Congress is sovereign, then Congress would be the ultimate power and even be above the constitution. That is not our system of government. And that is not what Vattel taught either and wrote about a republic with a written constitution. The elected officials are our representatives and we acquiesce to them to run the government as long as they obey the Constitution and not ignore any part of the Constitution, the supreme law of the land, and that these elected representatives act in a way to protect our life, liberty, and pursuit of happiness which our patriot ancestors and many who have served since fought and died to obtain and keep for us. The written Constitution is supreme and sovereign as that contract was established by We the People acting through the several states. And it states it takes 3/4th of the several states via agreement of the People of those states speaking through their respective legislative body to change that sovereign law, the U.S. Constitution. Mario Apuzzo, Attorney, and Charles Kerchner, Lead Plaintiff, of the Kerchner et al vs. Obama and Congress et al lawsuit will be appearing on the radio show, MommaE Radio Rebels - BlogTalkRadio - 8:30 PM EDT, Wednesday, 21 Oct 2009, and will be discussing the decision out today on their case from Judge Simandle of the Federal District Court, Camden NJ. Tune in and join us or listen to it in the re-run via podcast. During the live show a chat room is open for listener dialog and questions. And a call-in number is listed for those who wish to call in questions. Court Dismisses Kerchner Complaint/Petition for Lack of Standing and Political Question. The Decision Will Be Appealed. By way of footnote, the Court said that even if the plaintiffs could show that the Court had Article III standing, they would not be able to show that the court should exercise jurisdiction because prudential standing concerns would prevent it from doing so. Finally, the Court again in a footnote said that it cannot take jurisdiction of the issue of whether Obama is a “natural born Citizen” and whether Congress has acted constitutionally in its confirmation of Obama for President because the matter is a “political question” which needs to be resolved by Congress. The Court said that there simply is no room for judicial review of political choices made by the Electoral College and the Congress when voting for and confirming the President. The Court added that the plaintiffs’ remedy against Congress may be achieved by voting at the polls. It is important to understand that the Court did not rule that Obama has conclusively proven that he was born in Hawaii. It is also important to understand that the Court did not rule that Obama is an Article II “natural born Citizen.” Rather, the Court dismissed the plaintiffs’ case because of jurisdiction and the political question doctrine without commenting on the underlying merits of whether Obama is constitutionally qualified to be President and Commander in Chief of the Military. The Court also did not rule that the plaintiffs’ claims are frivolous. Given the nature of the Court's decision, the American People unfortunately still do not know whether Obama is constitutionally qualified to be President and Commander in Chief. As promised, plaintiffs will be filing an appeal of Judge Simandle’s decision to the Third Circuit Court of Appeals located in Philadelphia, Pennsylvania. Re. Kerchner et al vs. Obama & Congress et al lawsuit filed January 20th, 2009. Judge Simandle Has Granted the DOJ's Motion to Dismiss. We will appeal. Attorney Mario Apuzzo called me a few minutes ago. Judge Simandle has granted the DOJ's motion to dismiss. More on this later. Mario will post some initial comments in the blog but he still has to read the Judge's decision in full. I also need to read the full decision. But we will definitely appeal. Attorney Apuzzo will comment further once he has had a chance to read the full decision. We have lost at this initial step. But now Attorney Apuzzo can move the case up the ladder in the court system and file an appeal. P.S. Links to the Judge's Opinion and his Order are now uploaded to SCRIBD.com and convenient links to them are found in the right frame of this blog. Just scroll down a bit to find a list of links to all the court documents for this case. The docket file at SCRIBD.com has also been updated to show the new documents entered today. In my essay at this blog entitled, Congress and the Media Have Placed America at Risk of Being Attacked from Within, I argued how the Congress and our media have failed to adequately protect the integrity of the 2008 presidential election and consequently to protect our nation and Constitution by putting us at risk of being attacked from within. 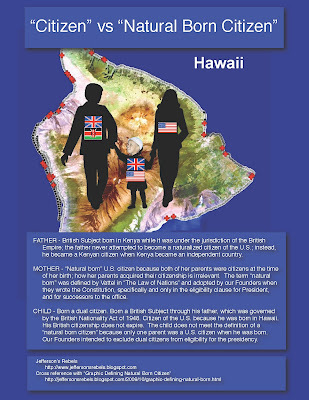 I explained that given conflicting evidence about where Obama was born, many in the public have wanted to make sure that Obama was born in Hawaii and constitutionally eligible for the Office of President. I also explained that Obama has asserted privacy rights to block any efforts by the public to view his Hawaii birth records and other background documents. I explained that the media has failed us miserably in not asserting its powers to confirm whether or not Obama was born in Hawaii. I also explained how in the past, the media has not hesitated to assert its rights to uncover the truth on matters it deemed important and I asked why has it not done the same when it comes to confirming where Obama was born. Well, here is another example of the media getting in the fight when it wants to uncover information that it believes is important to the public. With the general election two weeks away, six major television networks are asking a federal judge to enjoin New Jersey from enforcing a broad ban on exit polling and other expressive activity within 100 feet of polling places. The plaintiffs, ABC, the Associated Press, CNN, CBS, Fox News and NBC, in American Broadcasting Companies Inc. et al. v. Wells , 2:09-cv-5275, are asking U.S. District Judge Peter Sheridan for a temporary restraining order and a permanent injunction, arguing that restrictions on exit polling activities have been struck down on First Amendment grounds in the 12 federal courts that have heard similar challenges. The suit, filed on October 16, 2009, in Newark, New Jersey, seeks to block a September 30, 2009, New Jersey Supreme Court ruling that surprised the litigants on both sides. The American Civil Liberties Union of New Jersey had appealed the attorney general's denial of a request to hand out voters' rights cards at the polls. But none of the parties sought to ban exit polling within 100 feet, which the state has permitted since 1988. The media plaintiffs say the ban serves no legitimate government interest that would justify infringement of their First Amendment rights. While conceding that courts have recognized the states' interest in prohibiting activities that interfere with the electoral process, they argue in their brief that there is no evidence that polling voters who have cast their ballots borders on intimidation or fraud. The plaintiffs also maintain that prohibiting exit polling within 100 feet is not a narrowly tailored approach. The state defendants "already have all the authority they need to address any potential disruption at the polls. Applying a blanket restriction to plaintiffs' non-disruptive exit polling activities, however, is unnecessary and unconstitutionally overbroad," their brief said. The plaintiffs also argue they will suffer irreparable harm if injunctive relief is not granted. They cite the potential loss of valuable voter information in the election. As we can see, the media will not hesitate to take on the big boys when it comes to fighting for what it perceives to be its First Amendment rights. But when it comes to Obama, who blocked all efforts by the public to learn about who he really is by wanting to review his birth, education, work, and travel documents, why did the media believe that Obama’s privacy rights should trump its First Amendment rights to express itself by satisfying its journalistic obligations to provide critical information of national security importance to our political institutions and the voting public? If the media could not make a successful First Amendment claim, why did it not even file any Freedom of Information Actions with all public entities possessing any of Obama’s records and arguing that any right to privacy should fail given the critical national security interest it sought to protect? Needles to say, the President of the United States, in both his civil and military capacities, has immense powers over not only our nation but over the world. Again I ask, why has and why does the media take on these other legal fights, not affecting national security, but did not do anything of real substance to uncover the real evidence needed to assist our political institutions and the American public to find out who Obama really is? Does not the media see the potential “irreparable harm” to our nation should Obama not be eligible to hold the Office of President? Why does the media mock and suppress the efforts of those who want our courts to confirm whether Obama is constitutionally eligible to be President, like not reporting on a pending case against Obama until the Court dismisses it on some threshold or procedural ground and not the merits and then telling the world that the case was frivolous? Is the media afraid of what may be uncovered? 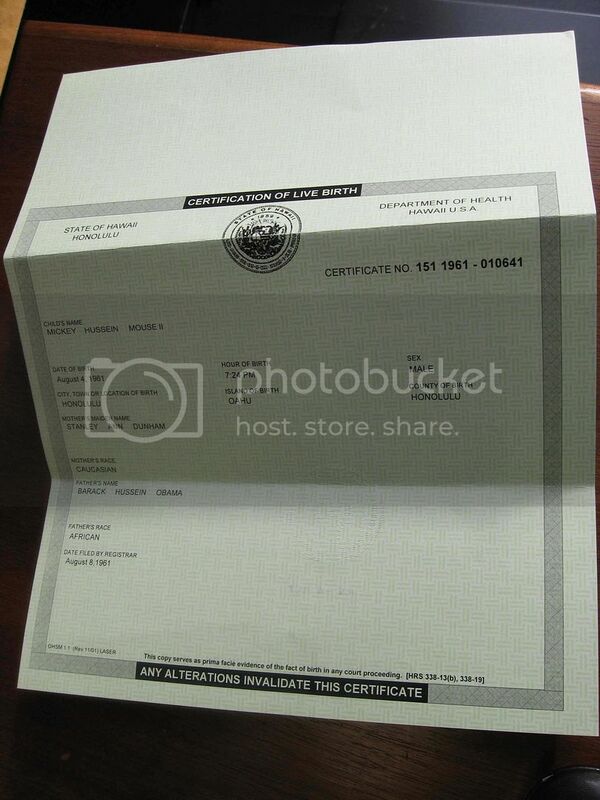 The only "evidence" of his being born in Hawaii that Obama released to the public was a computer-imaged Certification of Live Birth posted on his web site and not a paper long-form, hospital-generated Birth Certificate. Now there are so many alleged and questionable birth certificates of Obama’s birth floating around the internet which show him to have been born in Kenya. Who knows how many more will come in the future. Clearly, such activity is a distraction for our nation and only takes away from the respect that the Office of President so much deserves. It is time for the media to step up to the plate and assist our nation to bring the issue of Obama’s place of birth to a close. 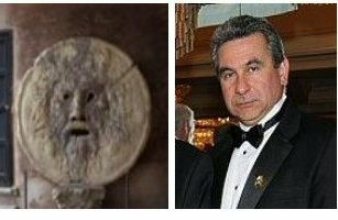 Attorney Mario Apuzzo and Charles Kerchner, Lead Plaintiff, of the Kerchner et al vs. Obama and Congress et al lawsuit will be appearing on the radio show, Current Issues with MommaE - Patriot Heart Network - BlogTalkRadio - 9-11 PM EDT, Monday, 19 Oct 2009. Apuzzo and Kerchner are the featured guests starting 30 minutes into the show at 9:30. MommaE Radio Rebels interviews Mario Apuzzo, Attorney, and Charles Kerchner, Lead Plaintiff, in the Kerchner et al and Obama & Congress et al lawsuit currently awaiting decisions on two motions before Judge Simandle since July in the federal district court in Camden NJ. BlogTalkRadio - MommaE Radio Rebels - 8:30 PM EDT, Friday, 16 Oct 2009. Why Should a Reputable Attorney Pursue the Obama Eligibility Issue? I have been asked by one pro-Obama commentator on my blog who calls himself "kris" why a reputable attorney would pursue eligibility litigation against our putative President, Barack Obama. In his argument, the commentator makes several correct statements. He is correct in stating that "Wong Kim Ark, while providing an expansive and controversial definition of a Fourteenth Amendment 'citizen of the United States,' simply does not and cannot retroactively change the Founders’ definition of a 'natural born Citizen.'" He is also correct in stating that the Founders never defined in the Constitution what a “natural born Citizen” is. What the commentator does not state is that the Founders believed in a Creator, who to provide order and justice, gave society natural law. That natural law manifested itself in the minds and hearts of men. What society was, who its members were, and what the ends of society were to be were all revealed through that natural law. Hence, there was no reason or motivation for them to write down what a “Citizen” or "natural born Citizen" was. Given the task of creating a new society after having won a revolution, for them it was intuitive that a "citizen" was a member of the new society and the children of the first citizens would in the future be the society's "natural born citizens." They also provided for others to join the new society in the future through naturalization and the children of those so joining the society would also be "natural born citizens." 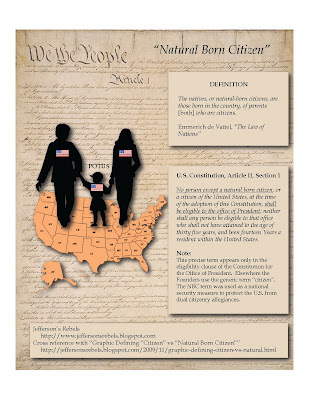 Except for a short 5-year time period created by the Naturalization Act of 1790, the commentator is also correct in stating that Congress never defined what a “natural born Citizen” is. He is correct because the Constitution does not give Congress the power to define what a "natural born Citizen" is. To argue that it does would be tantamount to saying that Congress can decide who shall be President based on its opinion of what a "natural born citizen" is or should be. Without a Constitutional amendment, Article II’s “natural born Citizen” clause is immutable and Congress has no constitutional power to define what it means. The commentator then says that "Vattal [sic] is not law. Nor is it the precedent you seek - Vattal [sic] does not form the Ratio of any like case to support your contention. . ." He is correct that Vattel's treatise, The Law of Nations, Or, Principles of the Law of Nature (1758 French edition), in and of itself is not law. But he errs in not understanding that those writings do become law if they form the basis of the law of nations. We know that the Founders considered Vattel the preeminent source on the law of nations. We also know that Article I, Section 8, clause 10 gives Congress the power to punish “Offenses against the Law of Nations…” We further know that in Section 212 Vattel, writing in French defined what “citoyens” (“citizens”) and “naturels, ou indigenes” ( “natives or indigenes”) are. 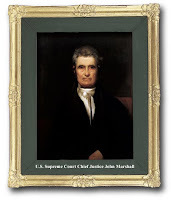 Chief Justice Marshall in The Venus, 12 U.S. 253 (1814) translated “citoyens” to “citizens” and “naturels, ou indigenes” to “natives, or indigenes.” Then our U.S. Supreme Court in Dred Scott v. Sandford, 60 U.S. 393 (1856), Minor v. Happersett, 88 U.S. 162 (1875), and U.S. v. Wong Kim Ark, 169 U.S. 649 (1898), translated these same words to “citizens” and “natives, or natural-born citizens”. Vattel’s writings also would become law if the United States Supreme Court were to adopt those writings and Vattel's principles and incorporate them into United States common law. The U.S. Supreme Court did, indeed, in these cited decisions, adopt Vattel's definitions of what a “citizen” and "natural born Citizen" are. Our U.S. Supreme Court, stating in Minor that there have never been any doubts in our history as to what a “natural born citizen” is, to this day has never changed the clause’s definition, always consistently stating that a “natural born citizen” is a child born in the country to parents who are themselves citizens at the time of the child’s birth. It is this definition that has become part of our federal common law and to this day, this definition has never been changed. The commentator then incorrectly states: "But the real issue for you is your client doesn't have standing to sue Congress to do their jobs. . . ." He only refers to Congress but I will assume that he also meant to include Obama. This issue has been briefed by Obama, Congress and me and we are all waiting for the Court to decide it. My brief shows that the Constitution is a social compact or contract between the People and the Government which limits what the Government can and cannot do vis-a-vis the People. The People through the Constitution established for themselves a Constitutional Republic based on a representative form of government. In a Constitutional Republic with such a form of government, the Government cannot govern the People unless it has the People's consent to govern them. Indeed, no government power can vest in any branch of government unless the People have consented to such vesting. My clients are undoubtedly part of the People and they must give the Government their actual or imputed consent to be governed by it. Given the rules on how the Court is to decide the defendants' motion to dismiss the complaint/petition, the Court has to accept arguendo that Obama is not an Article II “natural born Citizen” and is therefore not eligible to be President because that is what our complaint factually alleges. Obama has refused to show that he meets the citizenship requirement of Article II, hence refusing to "Assent to Laws, the most wholesome and necessary for the public Good." Congress has allowed him to get away with it. In refusing to prove that he is eligible for the Office of President, it is self-evident that Obama and those who blindly defend him have obstructed the "Administration of Justice." Congress has allowed him to get away with it. Through his obstructive behavior, Obama has made my clients "dependent on his Will alone" and not on legitimately vested constitutional powers. Congress has allowed him to get away with it. In wanting to replace American sovereignty with world consensus, “[h]e has combined with others to subject [my clients] to a Jurisdiction foreign to our Constitution, and unacknowledged by our Laws. . .” Congress has allowed him to get away with it. In giving or attempting to give to the Government ownership of the means of production (banking, automotive, health, environmental, and who knows what more in the future), he is attempting to alter or has “alter[ed] fundamentally the Forms of our Government. . .” My clients are compelled to live under such a radically transformed Government. Congress has allowed him to get away with it. Hence, how can my clients not be personally injured if they are compelled to submit without their actual or imputed consent to the commands of a person who not being constitutionally eligible to be President has usurped power over their constitutional rights to life, liberty, property, and the pursuit of happiness? Why should my freedom-loving clients be compelled to submit to such usurpation and tyranny? Why should not my clients have a judicial means to fight for and protect their unalienable rights to life, liberty, and the pursuit of happiness? How can a "candid World" be “deaf to the Voice of Justice” and deny recognizing the real injury that my clients have suffered and continue to suffer? How can Congress turn a blind eye to such matters? For these reasons, a reputable attorney, working to protect his clients’ unalienable rights to life, liberty, and the pursuit of happiness, has every reason to diligently pursue litigation against Obama and Congress regarding the question of whether Obama is constitutionally eligible to be President and Commander in Chief of the Military.